Are Antioxidant Supplements Worth It? Antioxidant supplements are often touted as a means of preventing disease and fighting the negative effects of aging. Found naturally in a number of foods, antioxidants are substances that help knock out free radicals (chemical by-products known to damage cells and contribute to the development of certain diseases). 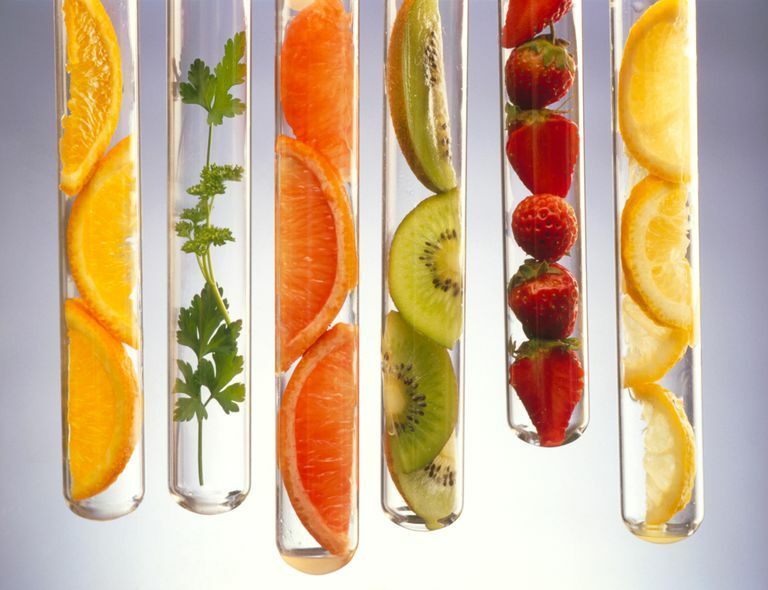 Antioxidant supplements may include a number of different free-radical-fighting compounds. Proponents of antioxidant supplements suggest that increasing your antioxidant intake can help prevent chronic diseases, including heart disease and cancer. But while research shows that a diet high in antioxidant-rich fruits and vegetables can help protect against disease, it remains unclear whether antioxidant supplements are equally effective in disease prevention. Regular intake of supplements containing beta-carotene may increase cancer incidence and cancer deaths among smokers, according to a systematic review and meta-analysis published in 2008. The same report also showed that selenium supplementation may have cancer-fighting effects in men, while vitamin E supplementation had no effect on cancer incidence and mortality. In a report published in 2008, researchers cautioned that cancer patients should avoid the use of antioxidant supplements during radiation and chemotherapy. According to the report's authors, antioxidant supplements may reduce the anticancer effects of therapy. Taking antioxidant supplements containing beta-carotene, vitamin E, and vitamin A may be linked to an increased risk of death, according to a 2007 review and meta-analysis of 68 trials including a total of 232,606 participants. Although no increased mortality risk was associated with vitamin C supplementation, researchers didn't find any evidence that vitamin C supplements increased longevity either. Selenium supplementation, meanwhile, appeared to reduce the risk of death. Some medical experts argue that studies showing a potential health risk for antioxidant supplements have been flawed in design. For instance, after the publication of the 2007 review and meta-analysis linking antioxidant supplements to an increased risk of death, researchers from the Linus Pauling Institute at Oregon State University released a statement arguing that the study is "ignores the broad totality of evidence that comes to largely opposite conclusions." The statement's authors also note that intake of antioxidants from foods or supplements has been shown to reduce the risk of cardiovascular disease, some types of cancer, eye disease, and neurodegenerative disease (as well as strengthen the immune system). For help in boosting your antioxidant consumption, start by adding more antioxidant-rich foods to your diet. If you're looking to further increase your intake of antioxidants, talk to your doctor about whether antioxidant supplements are right for you. Bardia A, Tleyjeh IM, Cerhan JR, Sood AK, Limburg PJ, Erwin PJ, Montori VM. "Efficacy of antioxidant supplementation in reducing primary cancer incidence and mortality: systematic review and meta-analysis." Mayo Clin Proc. 2008 83(1):23-34. Bjelakovic G, Nikolova D, Gluud LL, Simonetti RG, Gluud C. "Mortality in randomized trials of antioxidant supplements for primary and secondary prevention: systematic review and meta-analysis." JAMA. 2007 28;297(8):842-57. Bostick RM, Potter JD, McKenzie DR, Sellers TA, Kushi LH, Steinmetz KA, Folsom AR. "Reduced risk of colon cancer with high intake of vitamin E: the Iowa Women's Health Study." Cancer Res. 1993 15;53(18):4230-7. Gaziano JM, Manson JE. "Diet and heart disease. The role of fat, alcohol, and antioxidants." Cardiol Clin. 1996 14(1):69-83. Michels KB, Holmberg L, Bergkvist L, Ljung H, Bruce A, Wolk A. "Dietary antioxidant vitamins, retinol, and breast cancer incidence in a cohort of Swedish women." Int J Cancer. 2001 15;91(4):563-7. Oregon State University. "Study Citing Antioxidant Vitamin Risks Based on Flawed Methodology." February 2007. Speizer FE, Colditz GA, Hunter DJ, Rosner B, Hennekens C. "Prospective study of smoking, antioxidant intake, and lung cancer in middle-aged women (USA)." Cancer Causes Control. 1999 10(5):475-82.